Up From a Hot Micropore We Arose – Did Life Start Hot? In a recent Nature Chemistry article, we are informed that some scientists feel they may have found a mechanism for the formation of life’s precursors, DNA replication in hot rock micropores . An experiment was set up to mimic hot rock’s micropores in the supposed early earth environment. However, this experiment unintentionally demonstrated that naturalistic process could not have started first life, rather a mind is needed. Imitating these pores, they used glass micro capillary tubes. However, for this hypothesis to work, the pore must only be hot on one side. The other side must be cool. As one side of the tube was heated, they allowed water with dissolved DNA fragments of varying lengths to trickle through. Longer DNA fragments were more likely to start replicating using the hot/cold water gradient. Seemingly, much like a device we use in biology called a PCR (polymerase chain reaction), this device cycles through heating and cooling to copy nucleotide strands with supplied bases. As it cycles, higher concentrations of a specific nucleotide chains form. Materialists who hold to the nucleotide first view for proto-life need a number of requirements on early earth for this supposed pre-life. Included in these requirements is the need for large concentrations of bases, substrates for nucleotide chain formation (to act as a catalyst) and bases organized in a specific functional order. In addition, this must be a mindless process. So, did this experiment fulfill these minimal requirements? The experimenters supplied high concentrations of free bases, but where did these come from in the early Earth’s water? 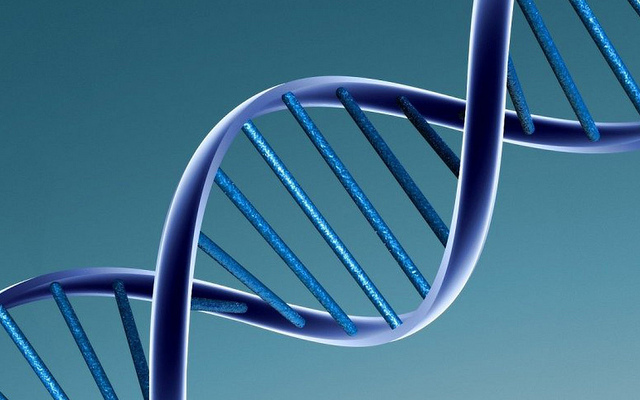 Seemingly, strands of existing DNA are needed – before replication. Where did these come from in the early earth, why were they so concentrated and why were they already formed? More than likely, other molecules in this early earth would have been formed too, many of which would have been very reactive molecules, destroying the unprotected DNA strands. As far as I know, no natural law specifies meaningful nucleotide sequences. Nor does randomness create functional sequences of information. Plus, how did this hypothesized heat gradient type of replication switched into a protein based replication system? Why would DNA replicate towards life? Why would an non-mindful process even create life out of DNA? The main accomplishment here seems to be the creation of an hypothesis for a natural PCR, that was then intelligently designed and built! Much like every other similar experiment, this one failed – intrinsically. The whole process was rigged by minds. Many smart ones at that. It also took many years of highly focused research and specified selection to get a system halfway working like it did. Intrinsically, this experiment shows that minds rather than undirected chemical evolution, were at work. We had an intelligent designer at play here! While interesting, the study is a weak naturalistic explanation of first life. Without researcher intent, this experiment seems to show that the best explanation for first life upon earth was an intelligent being. Pure naturalistic explanations like this all seem to fail. What is your view on the origin of life? Why? Please share below! Easy to read review version:The origin of life: Labyrinths as crucibles of life. Ludwig-Maximilians-Universität München. “The origin of life: Labyrinths as crucibles of life.” ScienceDaily. ScienceDaily, 27 January 2015. <www.sciencedaily.com/releases/2015/01/150127111157.htm>. « 10 Christian Teachings That You May Have Thought Were Biblical, But Aren’t!